Popular and very economical. All sizes in white have no print with white cotton strings. 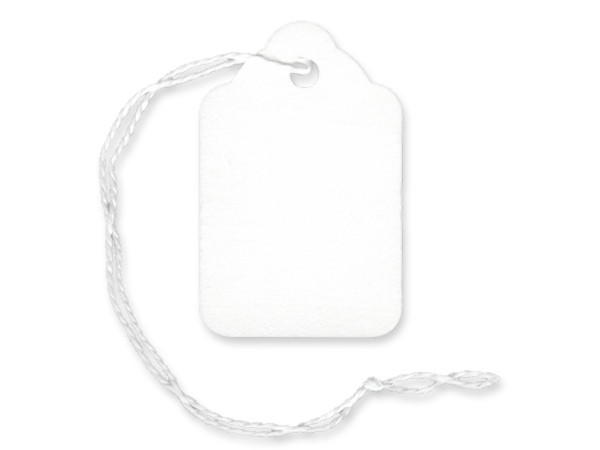 Silver and gold jewelry tags have coordinated cotton strings.